“For all of nature’s wonder and beauty, it is also hostile and unpredictable.” Oscar winning Irish actor Liam Neeson captures Michigan winter weather perfectly. With Spring Break just around the corner, students looking for fun destinations within budget have many local options to choose from. Do not let money woes ruin a well-deserved break. These options offer fun-filled day trips and weekend getaways close to home. Detroit and the surrounding metro area is home of plenty of attractions. The Detroit Children’s Museum and Detroit Science Center, housed under the same roof, have plenty of educational enjoyment to offer. Head west to Dearborn and visit The Henry Ford Museum, a 12-acre historical museum that portrays the Industrial Revolution. Paid admission to The Henry Ford Museum allows purchase of an IMAX movie ticket for half price. Witness automobile production first hand with a trip on the Rouge Factory Tour, a self-guided five-part tour that includes the Legacy Theater, Art of Manufacturing Theater, Observation Deck, Dearborn Truck Plant, and the Legacy Gallery. Cranbrook, in Bloomfield Hills, is home to two state-of-the-art museums. The Institute of Science, Michigan’s museum of natural history, includes a weather permitting observatory, planetarium, and mineral study gallery, while the Cranbook Art Museum features examples of art, architecture, and design from the 20th and 21st centuries. All attractions are educational and have quite a few exhibits and extras to offer. One of Michigan’s most pedestrian-friendly and lively downtown business districts, Ann Arbor is filled with places to shop and dine. This close-to-home destination offers enlightening attractions and museums. The African American Cultural and Historical Museum contains materials written, owned, or produced by African Americans from the 1700s to present. Striving to engage the community through visual arts, the Ann Arbor Art Center offers art studio and art appreciation courses, monthly public exhibitions, and a gallery shop promoting regional artists. The Ann Arbor Hands-on Museum is an impeccable place for kids, comprising of hands-on galleries that teach about simple machines, sounds, the human body, telecommunications, and much more. The Briarwood Mall is a perfect place to end the day, with anchor stores including Macy’s, JCPenny, Sears, and Von Maur. Boyne Mountain, located in Boyne Falls, offers a plethora of attractions enjoyable through the year. From Avalanche Bay Indoor Waterpark and year-round Zipline Adventures to shopping, dining, skiing, and snowboarding, Boyne has something to offer everyone. Mackinaw City, known for its beauty during the summer season, offers lovely vistas and a few fun attractions. Grab a taste of Michigan winters on hiking, biking, and snowmobiling trails, or visit the Butterfly House and Insect World for an indoor display of nature. Traverse City, the largest city in the 21-county northern Michigan region, has plenty to offer during the snowy winter season. Great Wolf Lodge offers warm guest rooms and an indoor waterpark a few miles away from the walking trails along Grand Traverse Bay. Downtown Traverse City offers an abundant choice of boutiques, gift shops, and restaurants offering a selection of local wine and fun northern Michigan flavor. Aside from the delicious chicken dinners that Frankenmuth is famous for, the city has many attractions to keep both children and adults busy for the weekend. Plan a night or two at Zehnder’s Splash Village Hotel and Waterpark, a whimsical water playground with attractions for the entire family. The four-level indoor water park features 146 deluxe guest rooms, a video arcade, and a restaurant serving breakfast, lunch, and dinner. 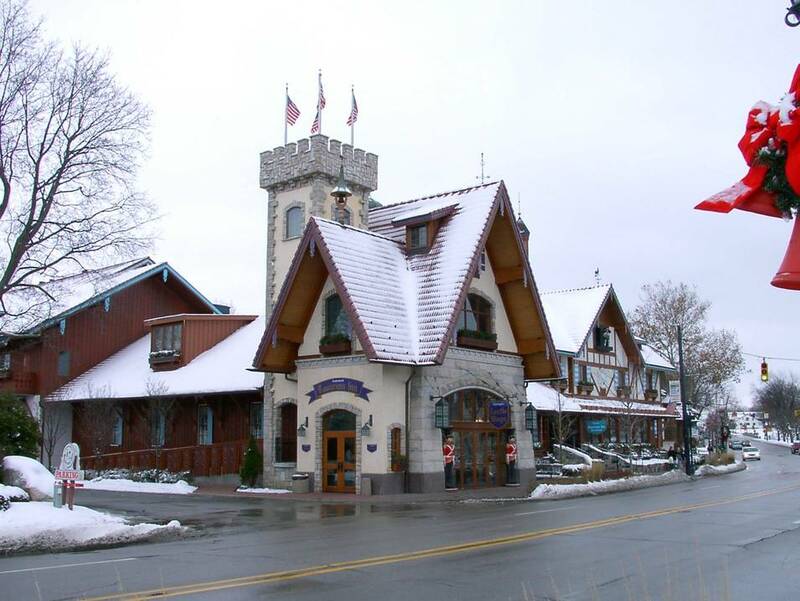 The Bavarian-themed family resort Bavarian Inn Lodge covers 7 acres under one roof. Featuring four indoor pools, two new waterslides, three whirlpools, 360 unique guest rooms, an indoor 18-hole mini-golf course, two lounges, nightly entertainment, gift shops, and dining, there is surely a little something for everyone. Bronner’s Christmas Wonderland, the world’s largest Christmas store, is a festive sight to see. Both inside and out, the store is a magical Christmas wonderland featuring many great ideas to make your house a showstopper when the season comes back around. Michigan’s second-largest city boasts an inviting downtown area filled with amiable stores, bars, restaurants, and an abundance of attractions for the whole family. An educational experience begins at the Children’s Museum, Art Museum, Roger B. Chaffee Planetarium, and Gerald R. Ford Presidential Museum. The Frederik Meijer Gardens and Sculpture Park offers year-round botanical enjoyment and many opportunities for learning and photography. Nearby cities Grand Haven, Holland, and Saugatuck, known for their beautiful beaches during the summer, offer appetizing restaurants and charming shops as well as hiking, cross-country skiing, and snowmobiling trails. With just a short trip across the Detroit River, experience one of the greatest cities that Ontario has to offer. 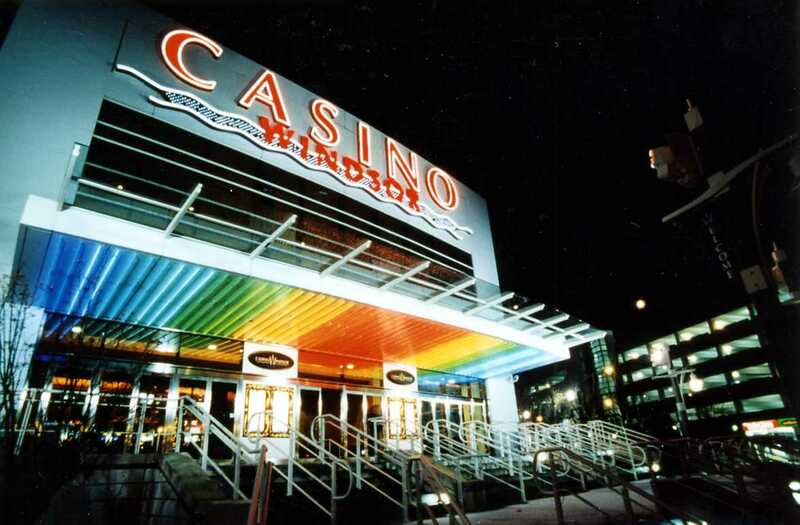 Caesars Windsor Hotel and Casino is an adult playground. Bet on some excitement at Ontario’s premier gaming complex, featuring more than 80 table games, 3,300 slots, and tournament series. Caesars also offers a 5,000-seat theatre, The Colosseum, which hosts world-class performers of all genres of dance, music, comedy, and more. The Comedy Quarry at Rockhead Bar, Ontario’s Premiere Comedy Club, brings guests a better atmosphere, level of talent, food, and drink than any other comedy establishment in Windsor-Essex. A couple hours south of Detroit, Sandusky, Ohio offers year-round water-themed attractions and plenty of restaurants and shops to keep one busy. Castaway Bay, Cedar Point’s indoor waterpark, is always 80 degrees. This year-round attraction boasts 237 guest rooms that include admission to the 38,000 square foot indoor water park featuring a wave pool, multiple slides, and a two-person water rollercoaster that zooms around the park called Rendezvous Run. Kalahari, the world’s largest indoor waterpark, offers fun for all ages. This African-themed resort features a Swahili Swirl 60-inch diameter bowl raft ride, Zip Coaster uphill water rollercoaster waterslide, and Cheetah Race four lane mat slides, as well as raft rides, a lazy river, indoor/indoor spas, a swim-up bar, and much more. Currently offering a 15 percent discount for guests staying two or more nights during February or March, Great Wolf Lodge includes over 33,000 square feet of water-packed excitement where you can splash the day away. Offering both jaw-dropping slides for thrill seekers and zero-depth entry areas for little ones, this attraction has something for everyone. Gather the family in the Grand Lobby for nightly, fireside Story Time—the perfect ending to a Great Wolf day. Michigan and surrounding areas offer many different options for exciting, budget-friendly Spring Break getaways. This year, use this time to explore Michigan, conquer a waterpark, appreciate art, learn about history and nature, or just shop and dine in a city away from home. Vacations, no matter how far from home, help rejuvenate and refresh the mind and body. Use this week to relax, clear your head, and prepare yourself for the rest of the semester.